The pass located east of here through the Cascade Range was once called Wiley Pass after Andrew Wiley. Wiley with other Willamette Valley pioneers explored it in 1859 while searching for a route to move their livestock to the grass lands of central Oregon for summer grazing. 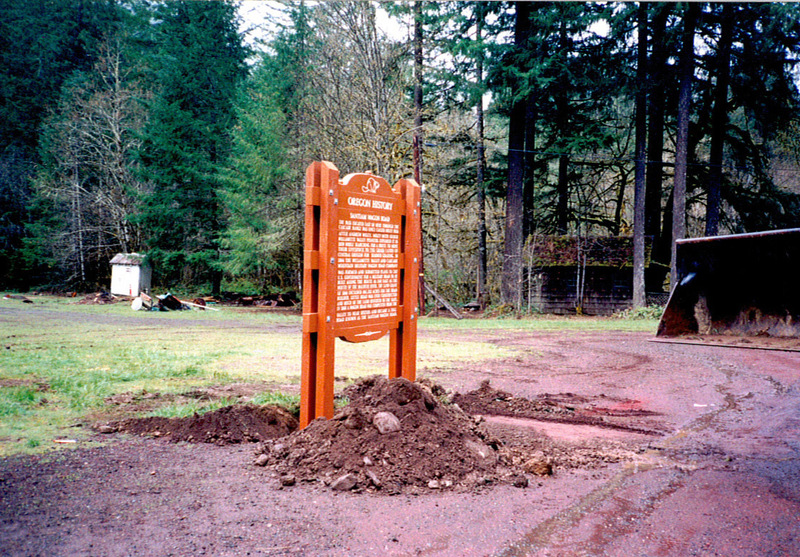 In 1864 the Willamette Valley and Cascade Mountain Military Wagon Road Company was formed and submitted plans to the U.S. Government for a Military Road to be built along the route as far east as the mouth of the Malheur River. The Land Grant of 1866 included 861,512 acres for the road builder. Little road was never constructed and much of the land reverted to the State. 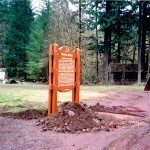 In 1868 a wagon road was completed from the valley to near Sisters and became a Toll Road known as the Santiam Wagon Road.